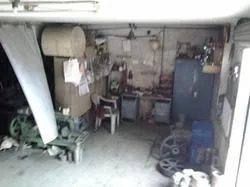 Established in the year, 1980, we, “Hasmukhlal & Brothers”, are an ISO 9001:2008 certified organization that is engaged in manufacturing, Wholesaling and exporting Chain Sprockets, Gear Pumps, Flexible Couplings, Lock Bushes, Jaw Couplings, Electric Motor Taper Lock Pulleys and more. Manufactured using quality-tested material, these products have earned respect and endorsement from major Original Equipment Manufacturers (OEMs). Our product-line is highly appreciated for its dimensionally accuracy, reliability, high power transmission, low maintenance, corrosion resistance and longer service life. The products offered by us are marketed under the brand name Bonnaflex. Bonnie Tech Engineering Company is our sister concern. Today eight out of ten automobiles in India have at least one Bonnaflex belt or oil seal in it. We are a Partnership Firm, which is based at Rajkot (Gujarat, India). A multifaceted infrastructure is developed by us that helps us in catering to the vast requirements of the clients. This facility is installed with advanced technology and high-tech machines that are essentially required in the production process. The diligent team of professionals hired by us make sure that an impeccable array of products is offered by us to the clients. Furthermore, to ease out the tedious process of monetary transactions, we accept payments via cash, cheque, DD. Under the notable tutelage and visionary guidance of our mentor, 'Mr. Ritesh Gajjar', we have reached the towering heights of success in the industry. His domain expertise, detailed knowledge and brilliant managerial skills have enabled us to attain a remarkable position in the market. 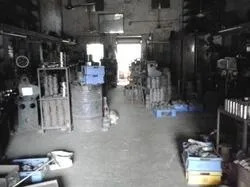 We are one of the leading manufacturers and exporters of Power Transmission Equipment and various Industrial Components. These products are manufactured using premium grade raw material, which is obtained from trustworthy vendors. We manufacture these products in accordance with the international quality standards. These products are known for their attributes like dimensional accuracy, low maintenance, easy installation, durability and corrosion resistance. Our products are marketed under the brand name Bonnaflex and Bonnie Tech. A competent team of professionals is appointed by us, which greatly supports us in all the practices of our trade. The professionals hired by us are masters of their respective fields of specialization. Owing to the dedication, hard-work, sincerity of our experts, we are able to stand ahead of our industrial counterparts spread across the world. Furthermore, to achieve the goals of the organization in an effective and efficient manner, these professionals work in close proximity with each other. Besides, we arrange training sessions and workshops at regular intervals to enhance the skills & knowledge of these experts. 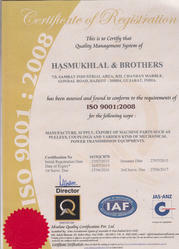 Owing to our superior quality products, we have attained a commendable position in the market. Our ethical business policies and transparent dealings have helped us in carving a unique niche in the industry.